Take a break from the beach and put on your hiking shoes, because Maui island has some of the most jaw-dropping trails you’ve ever experienced. Live out your exploration dreams on your next vacation and discover stunning South Maui hikes! Witness the magic of the early morning light shimmering on the ocean, trek through the jungle, see waterfalls, and get lost in the beauty of Maui’s mesmerizing sunsets. Don’t delay! Book your stay with PMI Maui Rentals today and read on to discover the top four South Maui hikes. Kuloa Point is considered one of the best South Maui hikes by locals and tourists alike. If hiking is your passion, then you must make a pilgrimage to Kuloa Point. Brave the curved roads, bathe in Hawaiian pools, and soak up some of the most majestic ocean views of your life. This family-friendly, 0.6-mile trail can be crowded, so make sure you arrive early! Tip: This area is known for sudden flash floods. Before swimming, make sure you check with the rangers and obey regulations. Sliding Sands Out-and-Back is longer than Kuloa Point (4.6-miles) and may be a little more challenging! Remember that every step is worth the effort as you make your way along the trail. See the vibrant colors of the hills before your eyes and the wildflowers blooming all around you. Be sure to save some air for the uphill trek back; it can be pretty hard on your lungs! The pipiwai Trail offers the perfect jungle experience for those looking for a complete immersion in nature. Hike through lush tropical forest and admire waterfalls on this 3.4-mile hike. You’ll also have plenty of river and creek views along the way! Pass a giant Banyan tree, apple grove, and a bamboo forest on your way to the 400-foot waterfall. We’ll give you a hint: it’s absolutely amazing! Tip: Some routes to the waterfall might be slippery, so make sure you are careful! Be aware of floodings and make sure you don’t put your head in the water – swimming at the waterfall is not recommended in that area. La Perouse Bay to Cap Hanamanioa is a lovely 2.5-mile hike that offers fabulous views of the island of Kahoolawe. Enjoy a beautiful and relaxing coastal walk along black volcano rocks and deep blue ocean. Pass by some ancient Hawaiian structures and spot traces of the last lava flow that happened on Maui in 1790. Tip: Bring a lot of water to stay hydrated! After spending the day enjoying some of the best South Maui hikes, come home to PMI Maui Rentals. Our gorgeous accommodations are perfect for you and your loved ones. Enjoy the charm and magic of Maui with all the comfort of our modern amenities. 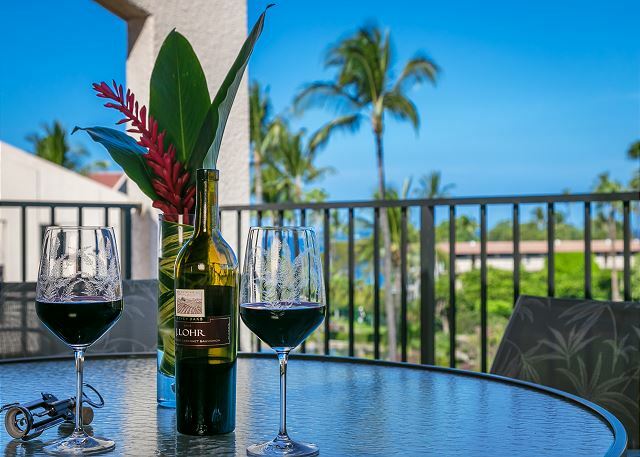 Book our Kamaole Sands 6-401 unit and make yourself at home in this stunning rental. Relax with a hot shower and enjoy a beautiful view of the palm trees and ocean from your balcony. Then, nestle up with a good book on the cozy couch or watch a movie with your family on the flat-screen TV. When it’s time to sleep, you will love sinking into the fluffy blankets and pillows of your king bed! We guarantee a night of pure relaxation and serenity. Want to see what your future vacation home looks like? Watch this video and book your stay today with PMI Maui Rentals! We look forward to hosting you.